Yorkshire County Fish Shop | It's "All in WDW"
Our $80 Day of Dining at Epcot! Good morning, folks! Welcome to the weekend! Hey! We’re a bit late to the WDW Main Street “$80 a day” parties, but now that the gang has arrived at our favorite park, we’ll finally toss in our two cents! Episode #363 – $80 A Day at Epcot with The Mickey Dudes! So. What are the $80 a day “challenges”, you ask? 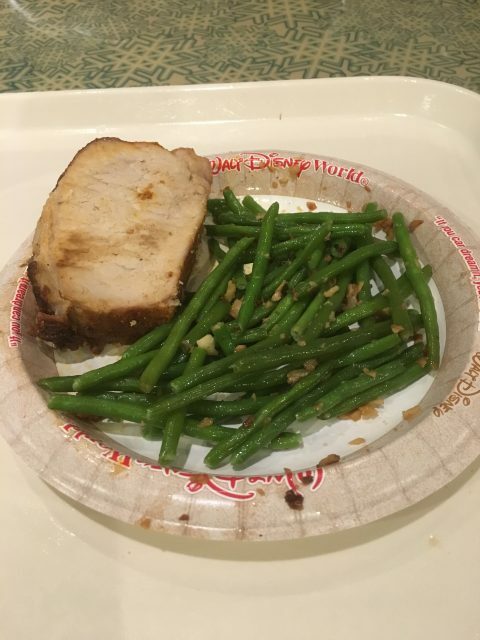 Well, what would you eat if you only had $80 to spend on food during your day at Epcot? 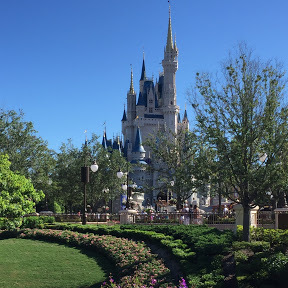 Trouble is … Mrs. All in WDW and I think that $80 per person is way too much. We think we can do much, much better. Will it be under $80 per couple, however? Let’s see! Fountain View (featuring Starbucks coffee)! Let’s face it … Mrs. All in WDW is one of the world’s biggest Starbucks fans. Therefore, we’ll have to start with a breakfast in Future World. We’ll order two Tall freshly brewed coffees – Pike Place Roast for the Mrs. and Veranda Blend Blonde Roast for me – at $2.49 per cup. For food, I think that their Sausage, Egg, and Cheddar Classic Breakfast Sandwich ($4.99) is one of the best breakfast sandwiches anywhere! Mrs. All in WDW will have an Almond Biscotti for $1.99. There’s no doubt. 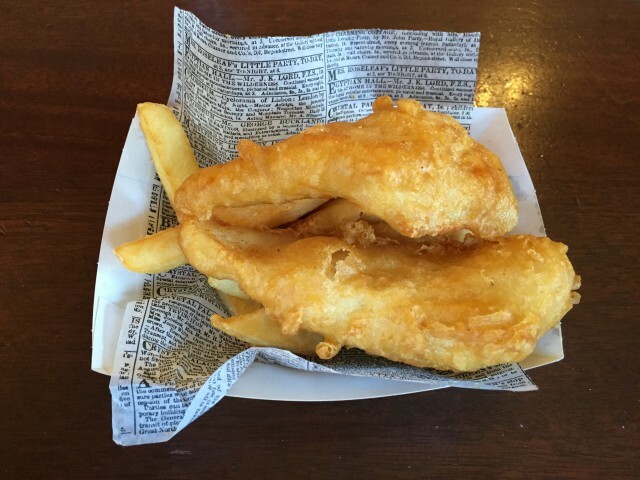 One of our favorite activities is to enjoy some Fish and Chips while quenching our thirst in the Rose & Crown Pub. Mmmmm. 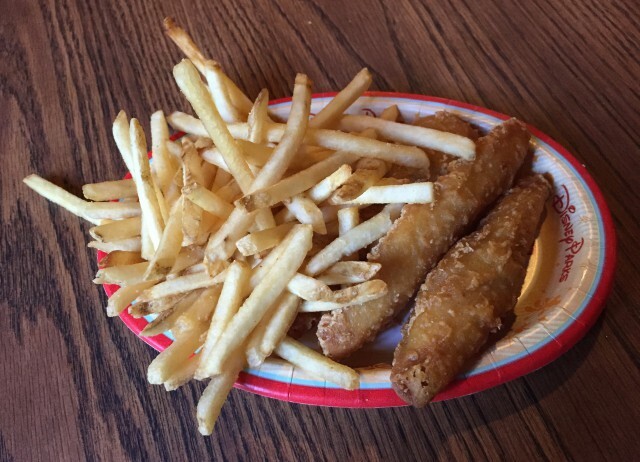 Two crunchy, flaky, delicious strips of Fish served with Chips! We’ll take two orders please … at $10.99 each. Then, how about two pints? Mrs. All in WDW will take a blend of Bass and Harp. It is a Specialty Blend called a Golden. Price? $9.00! Myself? The only place I ever have one of these is at WDW – a Boddingtons English Pub Ale. Another $9.00! We might share, to be honest. Let’s order their Oak-grilled Rotisserie Chicken. It’s normally served with Black Beans and Yellow Rice for $12.29. How about the Pork Loin? Served with Mashed Potatoes, Barbecue Sauce, and Corn on the Cob, it’s $13.99. Mrs. All in WDW and I would likely ask for some “subs” on the sides, however. Sunshine’s Oak-grilled Salmon is typically served with green beans. We’d ask to sub all of the black beans, rice, mashed potatoes, etc. with green beans, I’m pretty sure. They’ve done it for us many times before! Finally, we’d need to wash dinner down with another beverage. We’d prefer two Yuenglings at $6.50 a can! Nuts! We couldn’t do it! Of course, we could drop the beer. That would keep us in line, but, then, it’s vacation! Budget be darned, we have to have adult beverages! Cheers, everyone! WDW Main Street – Episode #338 – Our Weekly News! Doug, Dennis, and I gather at the Main Street Pub to discuss this week’s Walt Disney World news! 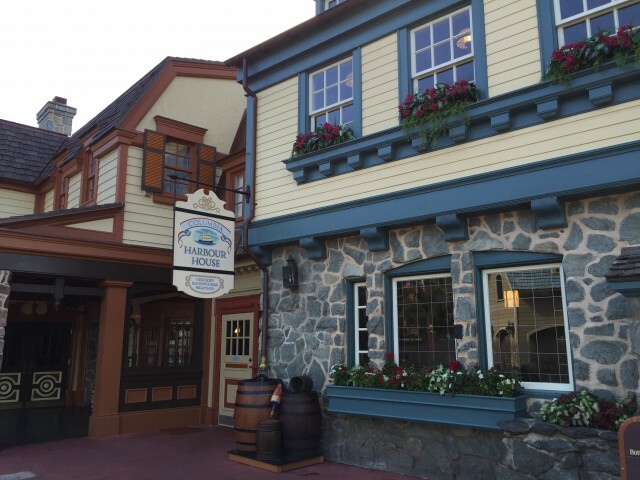 Plus, it’s time to build out the WDW Main Street Pub menu! Folks, from appetizers, entrees, desserts, and drinks, we’ve got all our favorites. 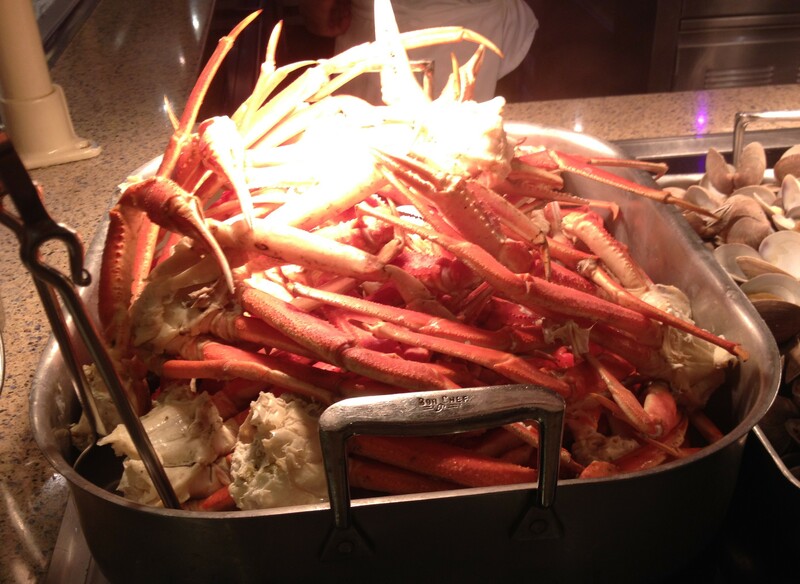 All you can eat crab legs? Mmm. Must be Cape May Cafe! Prices always go up, don’t they, everyone? Especially in Disney, eh? Hah! The question becomes … is it (whatever “it” is) worth the extra dollar or two? 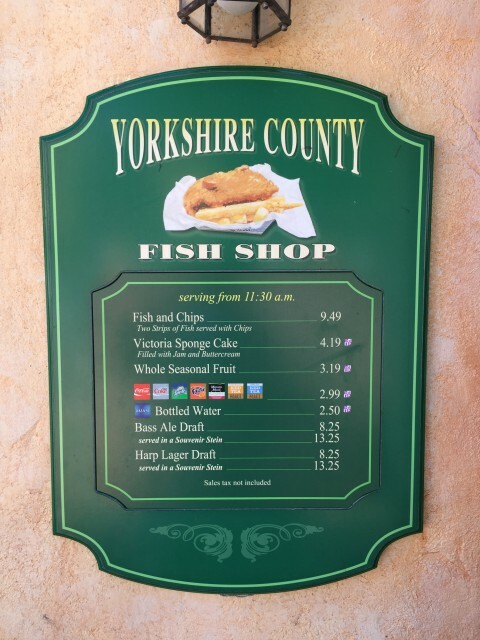 When I last covered Epcot’s Yorkshire County Fish Shop, a little over a year ago, the best Fish and Chips in all of Walt Disney World cost Guests $9.49 a serving. 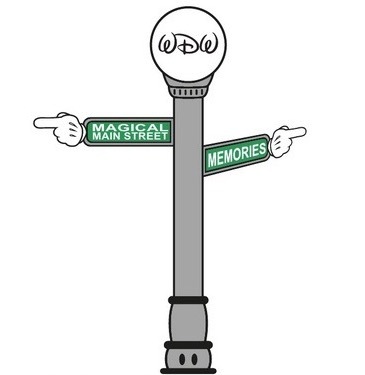 But, flash forward a year. A recent (last month) picture of Yorkshire’s menu informs us that the United Kingdom’s perfectly battered fish demands $10.49! 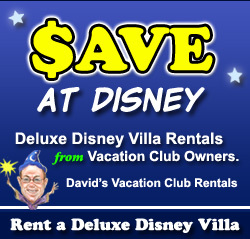 Then, look on line at Disney’s web site! $10.99?! Now, I won’t editorialize on whether the cost of frying a couple of pieces of fish has increased somewhere between 10% and 16%, but Disney … really?! I’ll just have to admit this … in the fish shop’s case, I truly think that an extra dollar (or dollar-and-a-half?) is another very large handful of pennies well spent. This fish is perfectly battered. It’s also piping hot, incredibly flaky, and crisply fried. Simply perfect! Buy it, folks. Yes, buy it regardless of the price! Of course, I guess that leaves us with one unanswered question … what price is too much? Oh, my friends, I really hope we’ll never have to find out. Dining Recon: Fish and Chips Throwdown! Fish and Chips. “[A] hot dish of English origin, consisting of battered fish, commonly Atlantic cod or haddock, and chips.” Thank you, Wikipedia! I have been planning to write this post for quite some time now. In fact, it took Mrs. All in WDW and I two “research trips” in order to acquire the photos we needed to whet your appetites! Fish vs. fish. Epcot vs. Magic Kingdom. Yorkshire County Fish Shop vs. Columbia Harbour House. Hmm. 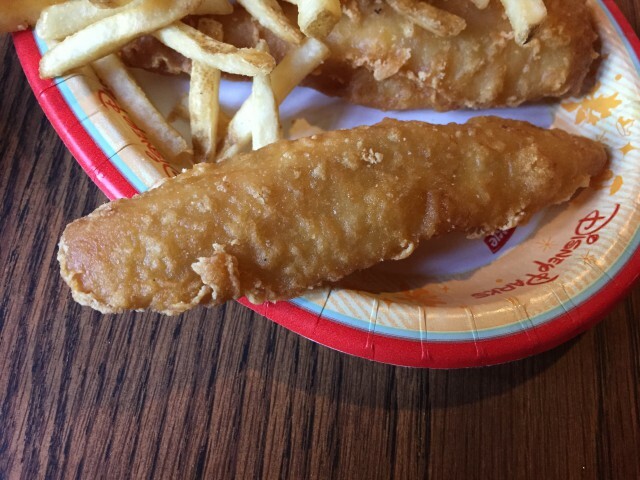 Where, in WDW’s parks, should you go for a phenomenal plate of Fish and Chips? 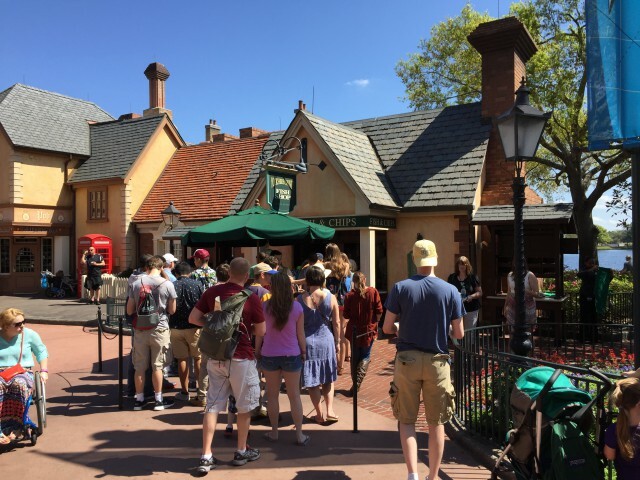 Should it be the United Kingdom counter service window cleverly attached to Epcot’s Rose & Crown Pub & Dining Room? 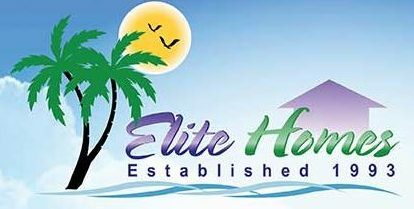 Or, should you wander to the back of Mickey’s Magic Kingdom and pay a visit to its beloved and nautically-themed colonial restaurant? Truly, my friends, we think the pictures speak for themselves. 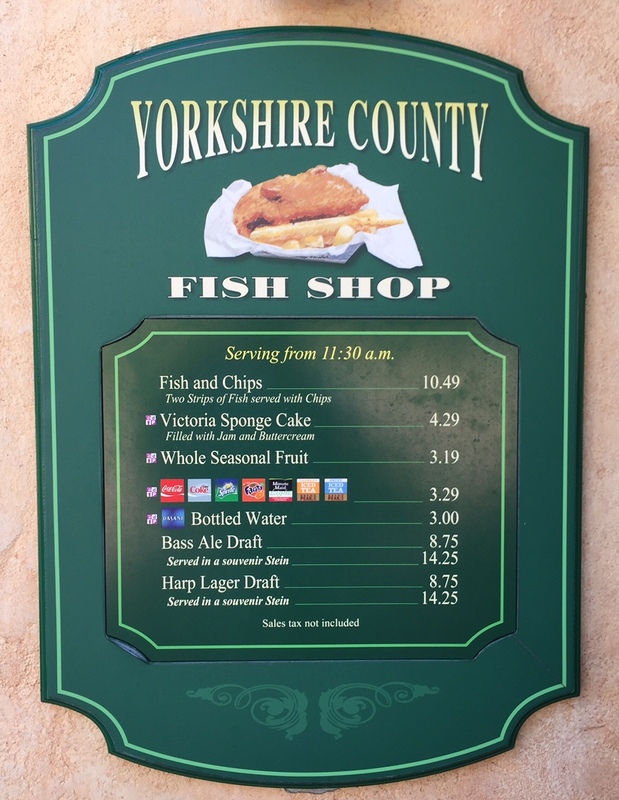 When in Walt Disney World, whilst dreaming of perfectly battered, piping hot, incredibly flaky, crisply fried fish, you must remember the word “English”. To be more blunt, you have to pick Yorkshire! Oh, yes. Columbia Harbor House is a well-themed New England colonial venue, but the facts of the matter are that Yorkshire’s product is just better. It’s hotter, crispier, and flakier. It’s just plain delicious. 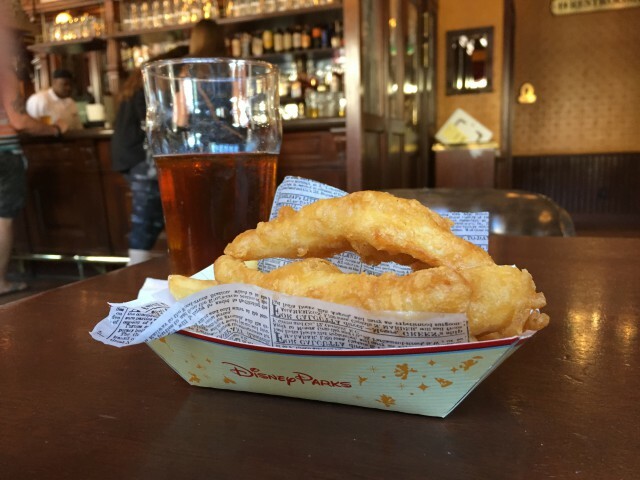 So, if you’re aching for some Walt Disney World Fish and Chips, go to “England”. You won’t be sorry. Oh, and here’s a tip … do you want a nice comfortable spot to sit and enjoy your meal? Well, head into the Rose & Crown Pub and grab a table. They’ll let you go back out to Yorkshire, grab that delicious lunch or dinner, and enjoy those battered “treasures” with an ice cold beer!